Hoping the great Preet or anyone with good knowledge can help me out here as I'm experiencing some FPS drops from 60 FPS to 50 or even below here and there throughout the game so far. Example: Near the beginning during the 'Struggle Tournament', the moment I would immediately engage on the enemy my FPS would begin to drop from 60 to 40ish FPS. 1 - this game can be quite demanding in terms of GPU, and yours is weak. This is NOT a good idea. 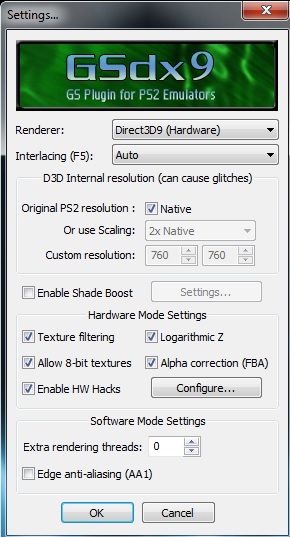 Enable only recommended speedhacks (manually), and set ee cycle rate to 1 as a start. Alright so I left both sliders at 1 and everything seems normal now. However when I defeat a boss and the slow-mo scene proceeds to follow my FPS does drop to 40 so I was wondering if that was a common problem or should i continue to test the sliders? (07-15-2013, 07:14 PM)Normalize Wrote: Hoping the great Preet or anyone with good knowledge can help me out here as I'm experiencing some FPS drops from 60 FPS to 50 or even below here and there throughout the game so far. any difference u see ?